Create Your Dream Online Practice! Build The Business You Are Meant For! Hello! I’m Jennifer. I’m a business coach for fellow health and wellness professionals who are struggling to turn their passion for this work into a successful business. They are frustrated by lack of clients and not making a good living, overwhelmed and unsure about what to do next, and afraid they will have to look for a job or give this pursuit up if they don’t make things work. I help them create and implement a step-by-step plan for creating their dream online practice that generates a great income and allows them to live the life they want to live while doing the work they LOVE - all without crashing their health in the process! How Would You Feel If You Could Do The Following With Greater Ease & Clarity? for us to get to know each other a bit and make sure we resonate well with one another. This is SUPER important! for me (and you!) to get clear on what you are looking for in terms of business coaching services. answer any questions you may have about how I work so you can make an informed decision about working with me. Note: Although this is a FREE consult, a valid credit card will be required to hold your spot. In the event of a “no show” or failure to cancel without at least 24 hr notice, the credit card will be charged a non-refundable $75.00 fee. The Jump Start Your Business Plan is the next step after the Initial Free 20-Minute Consult. This is where we dig deep into where you are currently at in your business, what your biggest challenges are, and your short and long-term goals. We then form an overview of the action steps you need to take now get more focused in your business and begin attracting more of your ideal clients. Note: While this a required step for all new business coaching clients and the first step in the process of revamping your business, there is no commitment to move on with continued coaching services after this session. What Will You Walk Away With From This Intro Plan? The Goal Is For You To..
Gain CLARITY and feel HOPEFUL, SUPPORTED, and INSPIRED about the process of building your dream online practice; regardless of how many approaches you have tried thus far that have not worked. Obtain a KICKSTART YOUR BUSINESS CHECKLIST and a list of SUCCESS PRINCIPLES FOR THE HEALTH PROFESSIONAL to ensure that you have all the most fundamental components in place for moving your business forward with a mindset for success, confidence, and integrity. 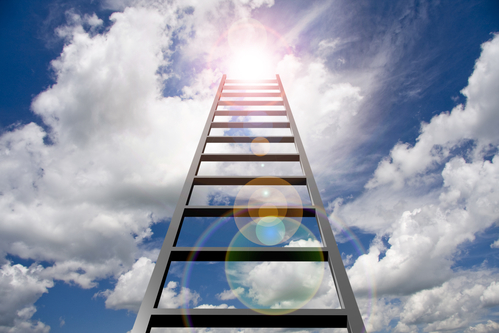 Receive a FRAMEWORK FOR SUCCESS in creating a waiting list practice! 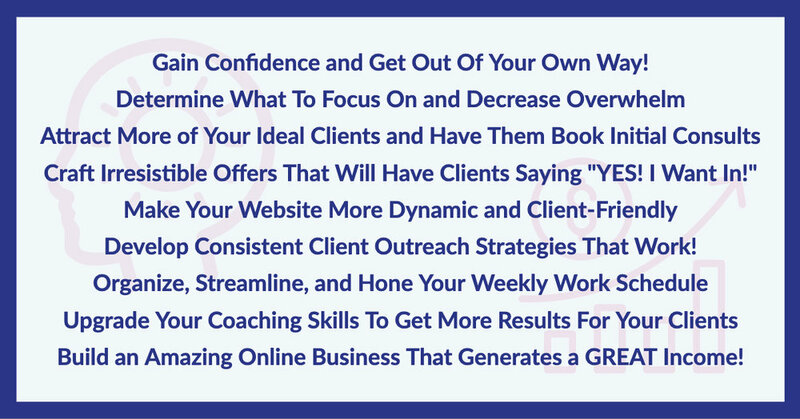 Receive introductory ACTION STEPS to begin now for decreasing overwhelm, zeroing in on the things that will actually move your business forward, and attracting more clients that say a big “YES!” to your services. Framework for Success; which is a blueprint for creating a waiting list wist practice that generates a great income! Targeted action steps to begin implementing right away to move your business forward. 30-minute follow-up via Zoom to review your progress on the action steps from the Strategy Session and answer any questions you may have. Please schedule this 5-10 days from the Strategy Session; at the time of purchasing this intro plan. Step #3: Build A Successful Online Business!